Thomas was sure that escape from the Maze would mean freedom for him and the Gladers. But WICKED isn’t done yet. Phase Two has just begun. 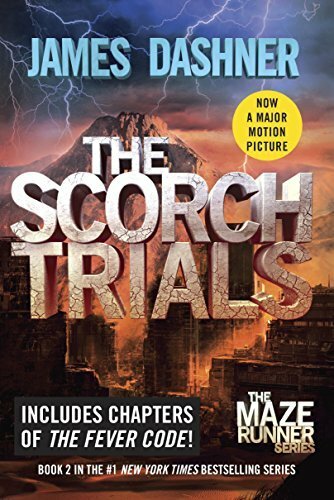 I enjoyed this book almost as good as the first book in the series, The Maze Runner. There was a lot happening that kept me on the edge of my seat. This book in the series is a bit more creepy and weird, but I enjoyed the plot so much. I enjoyed learning more about the old and new characters and how they worked together to survive. Like the first book there is slang, but that’s really the only thing I really didn’t like in this book. It also brought up some good issues and things that we should think about.